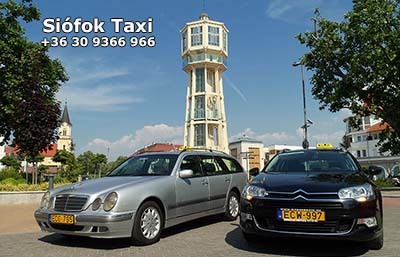 - The taxi prices in Siófok are standardized and established by the decree of the city council. Our city has standard taxi prices, the taxi always leaves from the center of the city. You can find the prices for 1-4 passengers (standard taxi) in the yellow and for 5-6 passengers (minivan taxi or MPV) int he dark sections of the zone-fee table. - The prices of the long-distance trips and airport transfers are not regulated. Our goal is NOT to be one of the cheapest, untrustworthy providers. We would like to provide quality for a reasonable price. 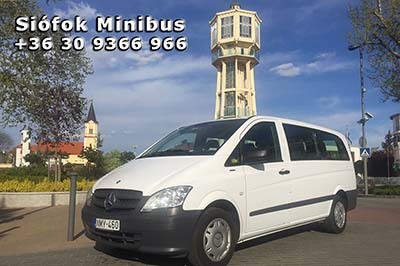 See our Prices for Airport transfers to and from Siófok, Lake Balaton. Taxi fees Siófok - 4 + 1 pers. Taxi Siófok – standard Siófok Taxi appropriate for maximum of 4 persons, station wagon, combi, sedan or limousine. We suggest our E-class Mercedes combi, Opel Zafira or Citroen Grand Picasso with air-condition and big luggage-rack for airport transfers. We accept creditcards in case of prebooking airport transfer or airport pickup from - to Budapest Airport or Vienna Airport. Taxi fees Siófok Multi seater Taxi - 6+1 pers. 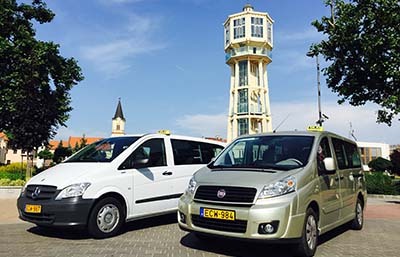 Siófok Taxi – Minivan taxi, which is only allowed for the transportion of the maximum of 6 passengers according to the law. With even more space and luggage-rack, it is really comfortable for long trips, airport transfers, hotel transfers, international journeys with many suitcases. Fully air-conditioned premium category, especially for smaller groups. It's the best price for airport pickup fro Budapest Airport to Siófok.